Puella Magi Madoka Magica is not your typical magical girl story as the group of girls it follows chose to become magical girls and that choice comes with a price. Homura is one of these magical girls and is unnaturally good at everything and on account of this she is very popular in spite of her indifferent personality. 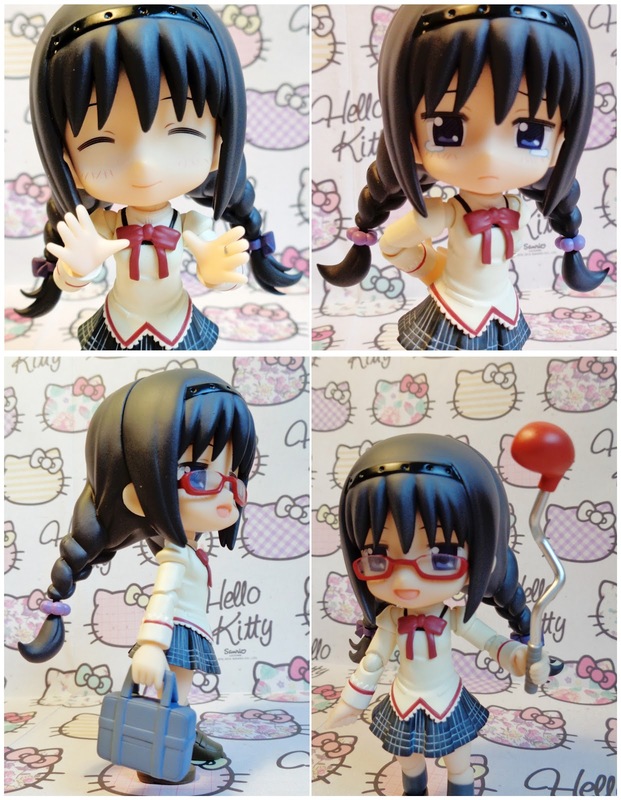 Homura's paint and sculpt are of a high quality and this being my first Cu-poche I am impressed, there are no mistakes to be seen in the paint work and her sculpt manages to be adorably chibi without compromising on articulation. Speaking of her articulation I am also very impressed with it, despite her small size she has a great range of motion from her head to her feet. However there are a few places with limited movement which are related to the design rather than the individual sculpt therefore I assume that they will be present in the whole line. Firstly her hands peg into her wrist and there is no joint which means you only get a swivel and secondly instead of a waist or chest joint there is a simple swivel at the hips. 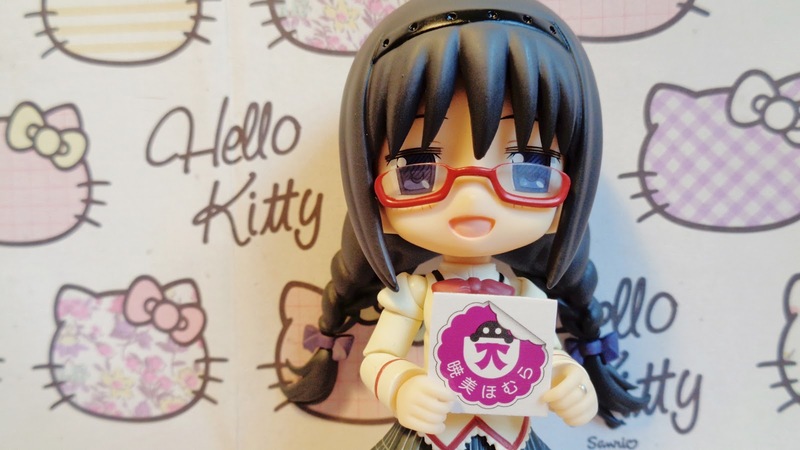 Firstly I will quickly mention her standard pieces, as it is my first Cu-poche review. 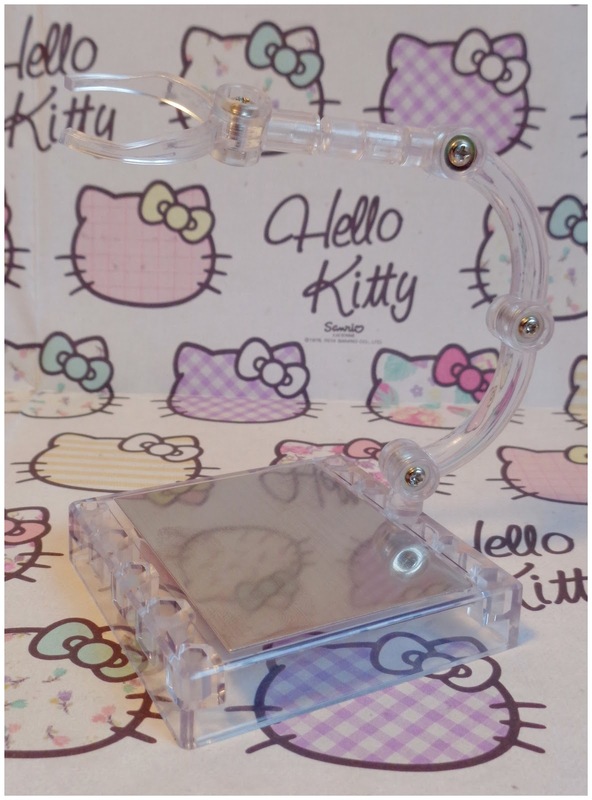 A bag is included for storing her and her accessories in and a stand is provided. The stand gives you several display options, firstly it can simply plug into a hole on her back, secondly it comes with a claw attachment piece, and thirdly there is the magnetic strip which works with the magnets in her feet. 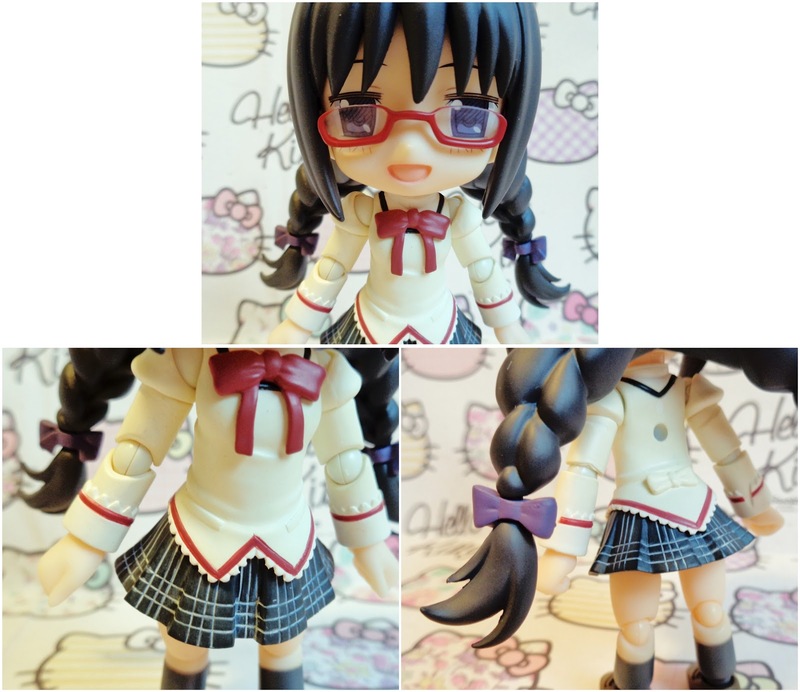 The first character specific accessory she comes with are her glasses, which are removable. For faces you get three, a happy face as default, an extra happy face, and a sad face. She also comes with two hair options, the default pair with bows and a pair with scrunches. As for hands you get a pair of fists as default, open hands, and a pair for holding items. Then she comes with a school bag and a bent golf club, which I assume is a reference to some scene in the anime. Over all I am extremely pleased with this figure. To me the line sits somewhere between a Nendoroid and a figma as it has the chibi factor of Nendoroids without the head heavy sculpt and with articulation closer to that of a figma. Thus I highly recommend picking up this figure or another in the Cu-poche line especially as Cu-poche is a line with accessory sets, some of which I will be reviewing shortly.